Gillian Moxey is currently the community relations coordinator for ChildNet Palm Beach. In her current role, Gillian develops alliances with community groups, agencies and government officials, makes public presentations to local groups and interacts with the media. 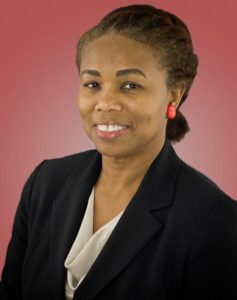 Prior to working at ChildNet, she was the Vice President of Business Development at the Nat Moore Foundation, where she was responsible for managing all aspects of the Foundation’s scholarship, grant making, and community programs and event activities, including identifying and securing new sources of development and program opportunities and enhancing the visibility of the Foundation. Before relocating to South Florida from San Francisco, Gillian was the community development officer for the East Bay Community Foundation’s (EBCF), where she managed the grant making activities for the organization’s corporate clients, including The Clorox Company Foundation, Kaiser Permanente, and Lam Research Corporation, as well as supported special projects and managed the organization’s scholarship programs. Gillian initially started at EBCF as a consultant to manage the scholarship programs and to ensure that all EBCF’s funds are in compliance with federal laws. Prior to EBCF, Gillian held fund development positions with community-based organizations, most recently at the Low Income Investment Fund, Community Awareness and Treatment Services, and the Arthritis Foundation, Northern California Chapter. Her duties as a fund development officer have involved sensitive relationship management of a diverse and prominent group of board members, donors, colleagues, clients and other stakeholders. She has developed and managed fundraising strategies, including public relations activities, budget management, board development, volunteer recruitment, supervision and coordination, and special events that raised important funds while introducing organizations to new audiences. Gillian was a Take a Stock in Children mentor, was vice president of GRID Alternatives’ Board of Directors, and has functioned as the Director of Philanthropic and Volunteer Services for the National Black MBA Association, San Francisco Bay Area Chapter. She was also the second vice president of her condo board. Gillian holds a BA in Political Science from New York University and an MBA in Sustainable Management from Presidio Graduate School.